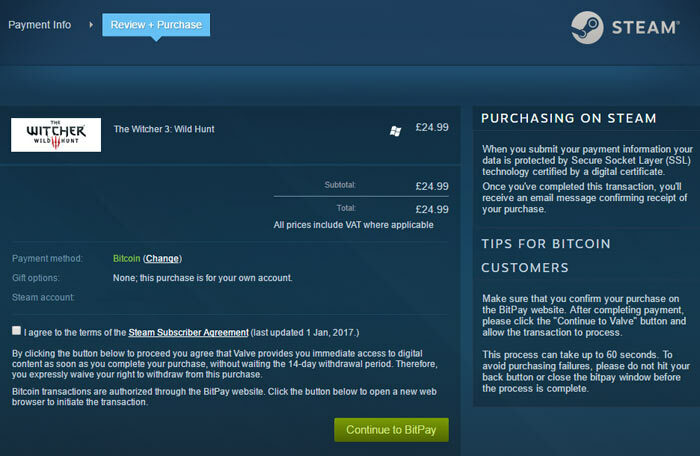 Valve has removed the option to pay for Steam goods using Bitcoin, for now. 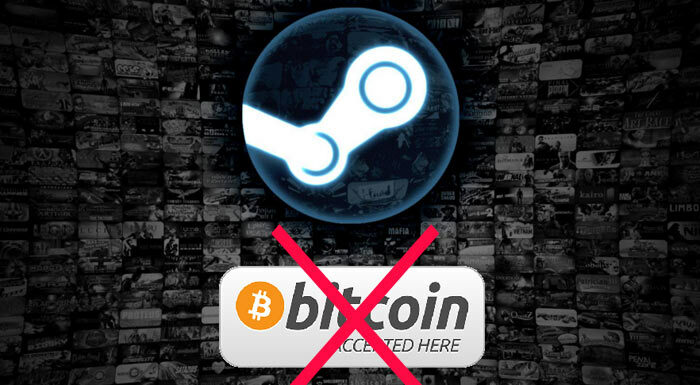 In a blog post the Steam Team reasoned that Bitcoin was far too volatile for payments, and transaction fees are prohibitive for low value purchases such as PC games and accessories. We must agree with the sentiments regarding the volatility of Bitcoin over recent months. 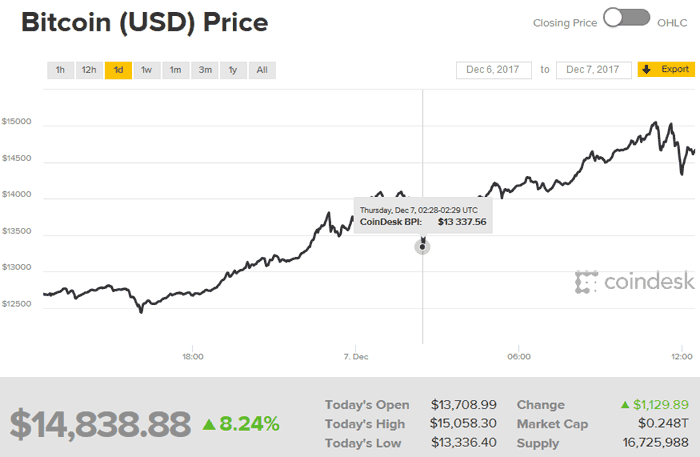 It has only been 10 days or so since the last headline grabbing milestone for Bitcoin. It approached US$10,000 back on 27th November. However, earlier today it broke the $15,000 (twice), and at the time of writing is worth $14,839. Such volatility can mean that a vendor accepts payments in Bitcoin and the value can lose as much as 25 per cent over a period of days, suggests the Steam blog (though the current trend is in the opposite direction). If the Bitcoin value changes significantly between purchase and supply Steam can resolve the issue by refund, or by asking for more funds - but either of these actions will invoke an additional transfer fee. With the above in mind, Valve concluded that "it has become untenable to support Bitcoin as a payment option". If things change, to make sense for Valve and the Steam community, then using Bitcoin for transactions will be evaluated.